Construction off-cuts, split & suspended on monofilament line. 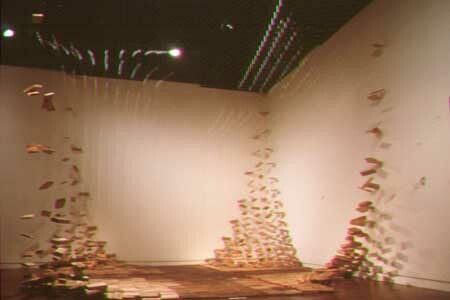 Elements for this installation were calculated using values from the Richter Scale from 4.5 to 7.0. Viewers walk around and through the piece.